Our job as educators and parents involves encouraging children to develop a lifelong passion and desire for learning. As everyone’s experience shows, this is easier said than done. This series of articles will guide you through helping your child awaken the desire to learn music. Specifically, we will help your child learn to enjoy regular guitar practice sessions, reaping the many benefits of music education and making your investment in music lessons truly worthwhile. The beautiful thing about nurturing this enjoyment of learning is that it is contagious and repeatable. Once your child is hooked on regular guitar practice you can apply the same learning strategy to other subjects, thus increasing your child’s overall motivation and ability to learn and excel in life! Before we go further, we need to understand how kids learn, and what motivates and inspires them. What motives kids to learn? We like to think that we are smart and sophisticated human beings, and for the most part we are. But we are also mammals, and the latest behavioral science shows that all mammals learn through very similar behavior patterns. Science shows that learning through reinforcing behaviors with positive outcomes (rewards) is more enjoyable and productive for all involved. Punishment or force learning is not effective and causes long-term psychological trauma and an aversion to the subject that the child was forced to learn. Today we often cajole kids into learning, luring them with fun, games and enjoyable social experiences. This isn’t always effective in the long-term because kids quickly lose interest once the novelty wears off and the activity stops being new and fun. Even if we keep reinventing new games, learning is not always a social process and at some stage kids have to learn to work independently and responsibly. The ideal learning condition is when a child is genuinely interested, curious and passionate about the subject. They learn because they genuinely want to learn. Some children are naturally inquisitive and hard working, but this is rare. The majority of kids will need external help and guidance to master the skill of learning, from the loving and caring adults around them. Using behavioural patterns as a reference framework, most modern learning is based on encouraging positive outcomes, i.e. reward-based. Humans tend to have complex reward systems, often involving long-term goals. We may buy gym memberships because our aim is to be toned and fit, but how many of us go to the gym every single day for 1.5 hours? Kids are the same! If we, as adults, can’t consistently commit to a diet or fitness plan to achieve our long-term goal, it’s not realistic to expect the same thing from kids! They may want to be good musicians, they may even realise that this requires daily practice, but there are too many distractions that prevent both kids and adults from attaining their long-term vision! Experience shows that using a long-term goal as a daily motivator isn’t a good idea. It’s highly ineffective for adults, and ESPECIALLY so for kids. What are EFFECTIVE rewards that could be used to motivate kids to learn and practice daily? Treats are a great way to reward desirable behaviour (regular practice). Many parents view treats as a form of bribery, but science repeatedly shows that rewarding good behaviour helps to reinforce and establish the desired positive behavior. It wires the brain for life! If a behavior, such as practicing for 10 minutes, causes a positive outcome (reward), kids are more likely to do it and to WANT to do it. The trick is consistency. Once the positive behavior turns into a habit the reward can be phased out and replaced with a more intrinsic reward, such as self-satisfaction or peer recognition. The instant-reward strategy works because the more we’re encouraged to practice a skill, the better we become at that skill. It’s human nature to like and enjoy the things we are good at, but to dislike and procrastinate over the things we are bad at. Guess what? Everyone is bad at playing a musical instrument when they first start! However, the first goal is TO GET STARTED! Why not use rewards to help your child through the initial difficult stages, while practicing is slow and progress seems hard to recognise? This is the stage which is most likely to be disliked and avoided by kids at all costs. Small rewards make the 10min practice session “a fair deal” for the child. They do the practice, and the regularity helps them build the essential required skills. Not only musical skills but most importantly, LEARNING skills. Through regular and consistent practice the child will soon enter the “mastery stage” or the “comfort zone” where the intrinsic reward is the joy and satisfaction (including the “feel good factor” and self-confidence) of achieving something worthwhile. Until that point, they may need a little help and outside motivation. Design a reward system that will make the initial learning worth the child’s attention. Remove obstacles and distractions by turning the practice sessions into a habit and encouraging consistency. Keep the practice sessions short and simple to start with, then increase the difficulty and duration incrementally as the child’s stamina, attention span, and practice skills improve. Get involved with the lessons and guide the practice sessions at home to support the child and offer help and motivation when needed. Eventually they will build up skill and ability, and the learning process itself becomes efficient, self-satisfying and rewarding. 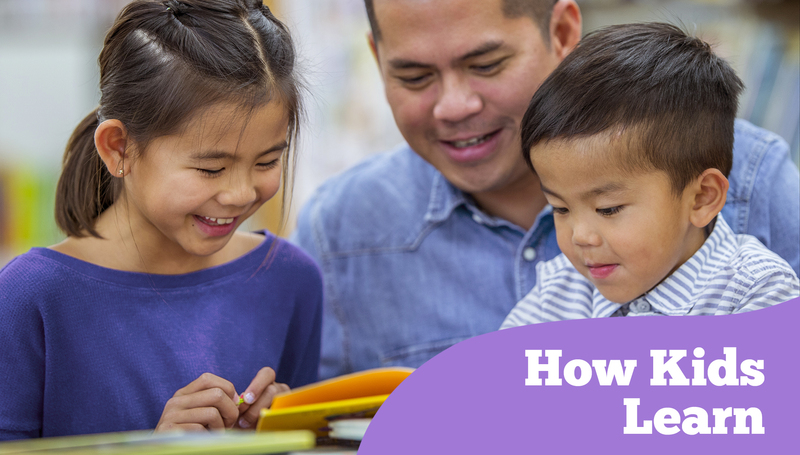 However, I cannot stress enough how important the correct parental involvement is to help your child develop and maintain good learning habits. Music is extremely rewarding and motivating, it makes kids feel good and boosts their confidence. It gives them meaning, they pursue a worthwhile hobby and develop a special talent. But before they can enjoy these benefits, they have to put in the groundwork through regular practice. It’s YOUR job to help them, along with the guidance and instruction of a great music teacher. This series of articles will give you all the tools you need to help your child establish a successful practicing habit, and to support him or her during the early struggles and challenges. If you and your child persevere through this initial stage, your precious little one will surprise you! We have kids who at the young age of 9 have mastered the art of learning, and can now independently apply their learnings skills to ANY subject! Once they can learn and perform complex musical pieces at the level of a college music student, you bet they’ll excel at their school history essay assignment! See some of our student performances. At Gentle Guitar™ it’s not just about the music, it’s about how learning a musical instrument is setting your child up for a life of confidence, achievement and success!